The paper describes the application of the QFD method, a technique used for the evaluation and proper realization of the different customer expectations, in the quality management of logistics systems. Both the theoretical basics of the method, as well as the main steps of its implementation are introduced. The implementation itself is presented with the help of a practical example that is strongly related to both the logistics and the automotive industries, as the latter especially relies on complex supply chains that require the extensive utilization of quality management tools. Besides the previous, the paper also provides an overview of all the possible areas of utilization for the QFD in the logistics industry. Therefore, the described method can have a great value from both the academic and the industrial perspectives. “This project has received funding from the European Union’s Horizon 2020 research and innovation programme under grant agreement No 691942”. 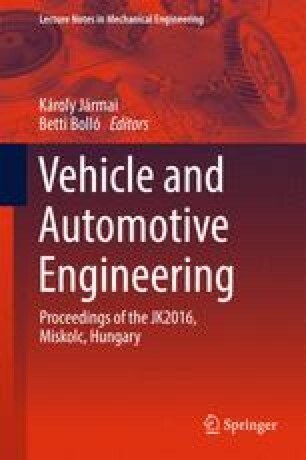 “This research was (partially) carried out in the framework of the Centre of Excellence of Mechatronics and Logistics at the University of Miskolc”.